Whether you are selling a product, promoting your services, or using the web as a promotional tool, your website is akin to having a virtual store. When people go to your site, they will see what you have to offer and make a decision. The question is, how do you get people to your site? Imagine that you open a physical store to sell products. You invest the money a gorgeous sign, an appealing interior, and a perfect staff. Your product is second to none. All of this, of course, comes with a price. If you put your store on Madison Avenue or Rodeo Drive, people are going to come in and spend their money. And of course, your rent will be priced accordingly. On the World Wide Web, your site’s Google ranking is key to its visibility. Getting your website on the first page of Google is like paying rent at a store with high customer traffic. Many people think that as soon as their site is “live” on the internet, Google will display it at the top of their search engine. This is absolutely not the case. And a simple Google submission does not guarantee high-visbility placement. The most important thing you can do is have your marketing team set up backlinks. Backlinks are incoming links to your website or web page. In other words, backlinks are links on other sites that direct users to your site. The number of backlinks to your site is one indication of the popularity or importance of your website or page. They indicate who is paying attention to that page. Essentially, if another site links to your site, Google sees that as good. A good internet marketing expert will land you back links with sites that are already ranked well on Google. The better their placement on the search engines, the higher your site will rank in the long run. Backlinks are coordinated with key phrases that you choose. This is a key phrase. Google does not separate the words and parse them out individually; rather, it looks for these words as one search object, in order. Try that search: vegetarian restaurant tucson. As of November 22, 2009, there are 131,000 results for this key phrase. You can find that number by looking at the top right hand side of your search results. The center area is called the Google organic search. Google sends “bots” to all submitted sites and ranks them according to a number of different variables. When you optimize your site for Google and submit it, it can take up to six months to see results in this area. Furthermore, if you own a vegetarian restaurant in Tuscon, you have 131,000 competitors who also want their sites listed. The smart competitors will fight to be on that first page for one important reason: location, location, location. Being on the first page guarantees that when people search for “vegetarian restaurant tucson”, they will find the restaurant immediately. The area on the right side (and sometimes on the top) is for Google Sponsored Links. This is how Google makes most of their money. One way to immediately guarantee a position on the first page of Google is to set up a Google Sponsored Links (also called “AdWords”) campaign and pay Google every time a user clicks on that link. This is also competitive. Depending on the popularity of a search, pricing can range from 10 cents to 10 dollars per click. You set a daily budget for your Sponsored Links campaign, and once that daily budget is used up, your ads stop appearing until the next day. Which is a good thing…imagine if there were no daily budget, and 10,000 users clicked on a $1/click on a given day. You would end up paying Google $10,000, just for that day! Depending on your business (and the price of your product), a Pay-Per-Click campaign may work for you. The ratio of clickthrough price to your product price is important here: you want a high ROI (return on investment) ratio. All of this said, how do you put your site in a position of prominence on Google? When you create your website, it is important to know that if you want people to find you, you will need a good marketing team. This requires an investment. Put together a budget that you plan to spend only on marketing. You will find that in the long run, it will be money well-spent. If you want to be competitive on Google, you can expect to spend as much on marketing as you did on the design and coding of your site. Your key phrases are crucial for your success. Whatever your business, work together with your marketing team to target specific key phrases for Google searches. Some key phrases are better than others. A good marketing expert will work with you to find out what people search in your category and compile a short of key phrases. Once you have that list, you must include these key phrases in the content of your website. And it is a rule of threes: if you want Google to legitimize a key phrase, make sure it appears three times on the page in question (Google looks at pages, not entire websites). It also might be a good idea to have your marketing expert include the key phrases in the metatags, the description, and even the title of that page. Work together with your internet marketing expert and have them set up backlinks on other sites. The number of backlinks they set up should be directly related to the number of backlinks your competition has set up. The general concept: you want more backlinks than your competition. Pricing is usually per backlink. You should expect to invest on a block of 50, 100, 250, 500 backlinks, whatever is necessary to bring you up to a competitive level. Results in the organic search are not immediate…be in it for the long haul. Cream rises to the top gradually…it usually takes six months to a year to see results, and in the meantime, have confidence that your marketing expert is doing their best for you. A word of caution: Any company that tells you that they can get you immediate results on the organic Google search is most likely practicing Black Hat SEO, or spamdexing. These methods such as link farms, keyword stuffing and article spinning degrade both the relevance of search results and the user experience of search engines. 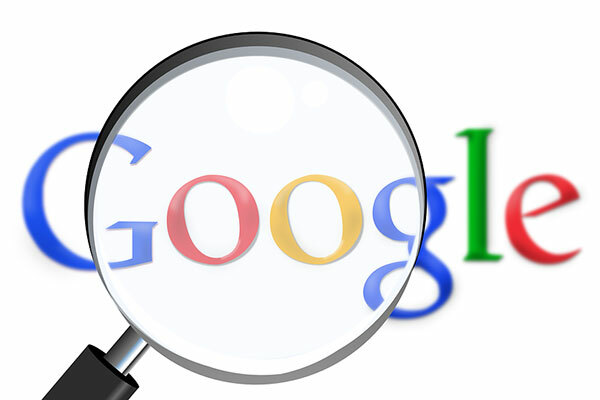 Google looks for this and might ban your site from their indices! In short, Google placement is an integral part of internet visibility. Makng the investment in a solid internet marketing campaign is crucial for this visibilty, and solid optimization and backlinks are a good way to get attention in the long run. Seventh Planet, Inc. has a world-class marketing team that can help you fight the good fight on Google. Please feel free to visit www.seventhplanet.net for all your website needs.